Mission: It is our mission to consult, train and to design indoor and outdoor foot reflexology paths of health to achieve your corporate, business, community and personal wellness goals. We work with your teams of architects, landscapers and contractors. 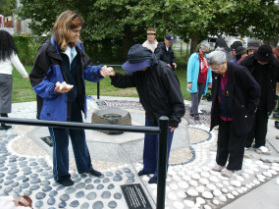 History: Paths of Health began in 2002 and has grown thanks to 3 medical students studying Chinese Medicine and Naturopathic Medicine at Bastyr University (www.bastyr.edu) where they project managed, designed and trained the community to welcome the first foot reflexology path in the U.S. They also designed indoor foot mats to education the general public and wellness professionals in foot reflexology paths which can be easily transported (see products page). Expertise and Research: The Paths of Health team are experts in path design, and reflexology therapeutics and education. 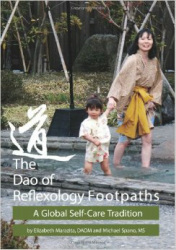 (Please visit our book under products which details the 7 year journey to investigate the top reflexology paths in Asia and Europe. In the U.S., we have worked with Universities, public parks, corporations and private individuals. We are committed to invest our expertise in your personal and or community wellness goals. THEORY OF REFLEXOLOGY Feet are understood to serve as mini-maps of the human body. The neurological theory behind reflexology states that reflex areas in the hands and feet correspond to all the glands, organs and musculoskeletal systems in the human body. Wearing shoes all day as we go about our daily lives which can include a sedentary job or lifestyle, stress, illness, lack of hydration and inactivity can cause muscle tissue to weaken, and blood flow to stagnate. This blood stagnation culminates in waste matter collecting in the feet. 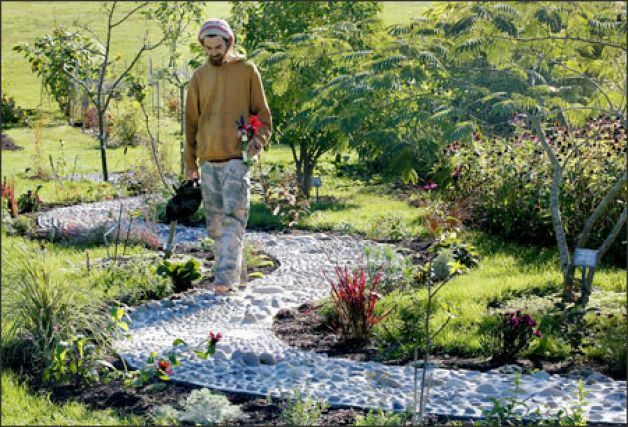 Scientific Benefits: Walking reflexology foot paths have been shown to lower blood pressure and to improve balance.